This article lists most of the riding mower, lawn tractor, garden tractor and zero turn mower brands sold here in the United States and to the best of my ability lists who owns them for the 2018 model year. It does not include many of the hundreds of manufactures of pull-behind and mounted agricultural equipment. I know this list is not complete so feel free to leave a comment at the end of this article with the ones I missed. In summary: Husqvarna, MTD, and Briggs & Stratton make most of the riding mower and lawn tractor brands sold by retailers here in the United States. John Deere still makes all of their lawn tractors and zero-turn mowers. 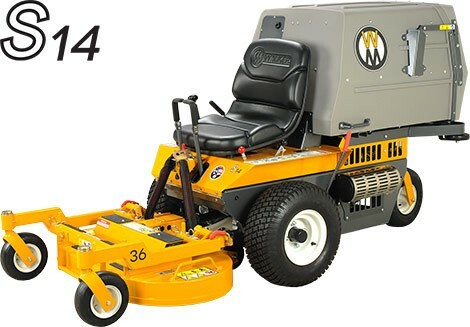 There are around 40 additional manufacturers of zero-turns and specialty mowers. The Zero-Turn market is huge so there is always a new manufacture or three trying to make their mark. Many of the old independent names that have been around for years have now been bought and merged into huge corporations. There are even a couple of “American” names that are used solely by Chinese manufacturers. Of the 89 brands I can find, many are owned by the same few companies, but some of those names have moved from one manufacturer to the next making it hard to sort it all out. I’ve included the smaller companies because many of these market locally at trade shows and county fairs. Just about all of them are high-quality machines and they may be the right mower for you. I also included the commercial mowers (mainly zero-turns) because some of you may be tempted to purchase a used “commercial” machine and it would be nice to know if you can still get parts. 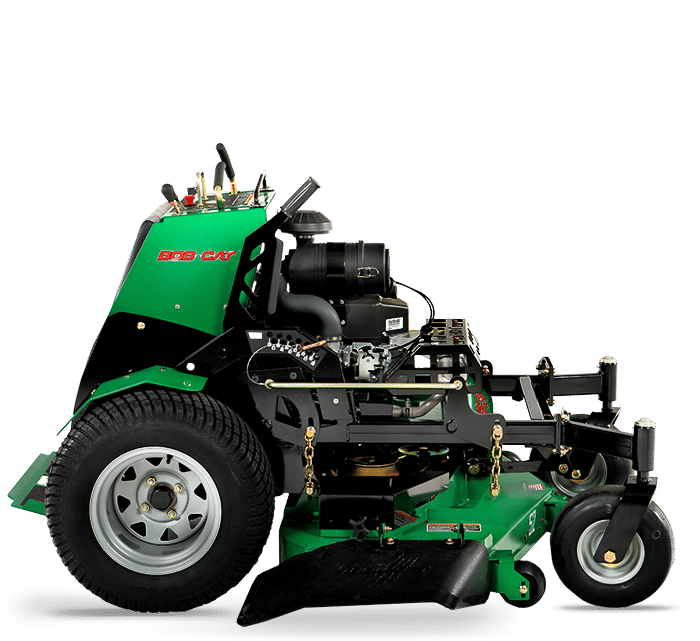 Commercial mowers can greatly reduce your mowing time, (as much as 80%) but you need to be aware that they are considerably more expensive to repair. How To Pick The Best Lawn, Yard & Garden Tractor For You! 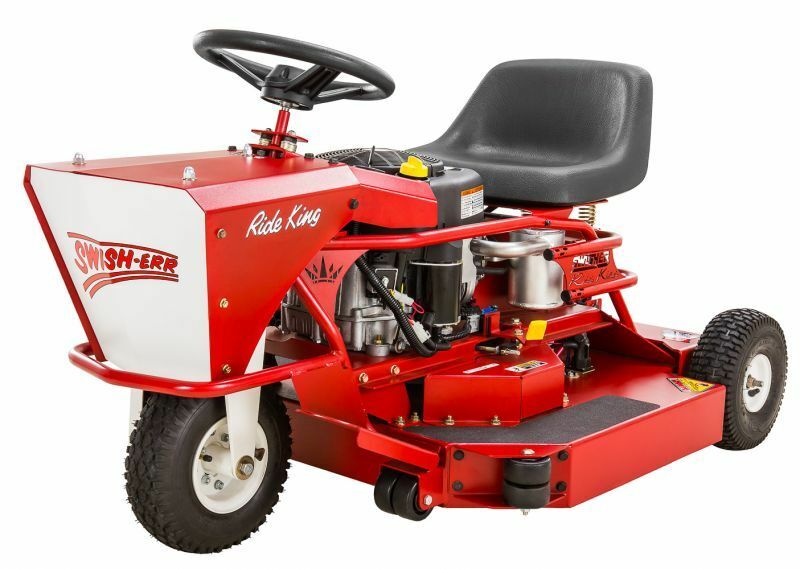 How To Pick The Best Zero Turn Riding Mower (ZTR) For You! There are no affiliate links on this page. All the links go directly to the manufacturers’ websites. If would you like to support TodaysMower.com you may help out by clicking on the following link and buy anything you need. I’ll make a small commission from the sale. Buy at Amazon. TodaysMower.com is a participant in the Amazon Services LLC Associates Program, and we get a commission on purchases made through our links. Note: I have verified these relationships by researching the latest information on the Internet and talking directly to some of the manufactures. This list is accurate to the best of my knowledge. Acrease Gary Kunz and his son Matt have a great line of high quality, heavy duty finish and rough cut mowers. 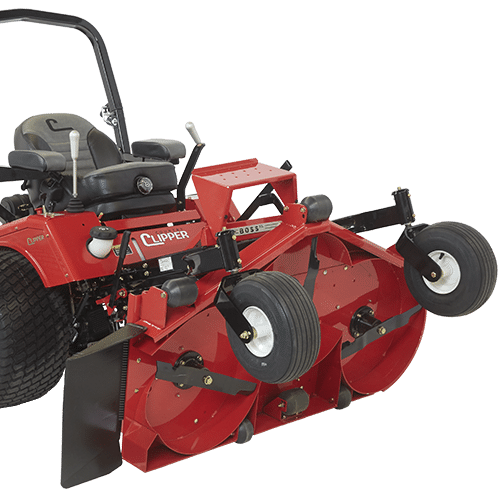 These mowers are designed to pull behind or along side of your existing mower and reduce your mowing time and trimming considerably. For example, I used two or their 60-inch commercial wing mowers with a 60 inch Exmark Laser and could mow up to 17 acres an hour. They are more expensive than the Swisher, Agri-Fab and Stanley wing mowers, but worth every penny in increased productivity and strength. Their rough-cut mowers are the best for fields, horse pastures, and paddocks. 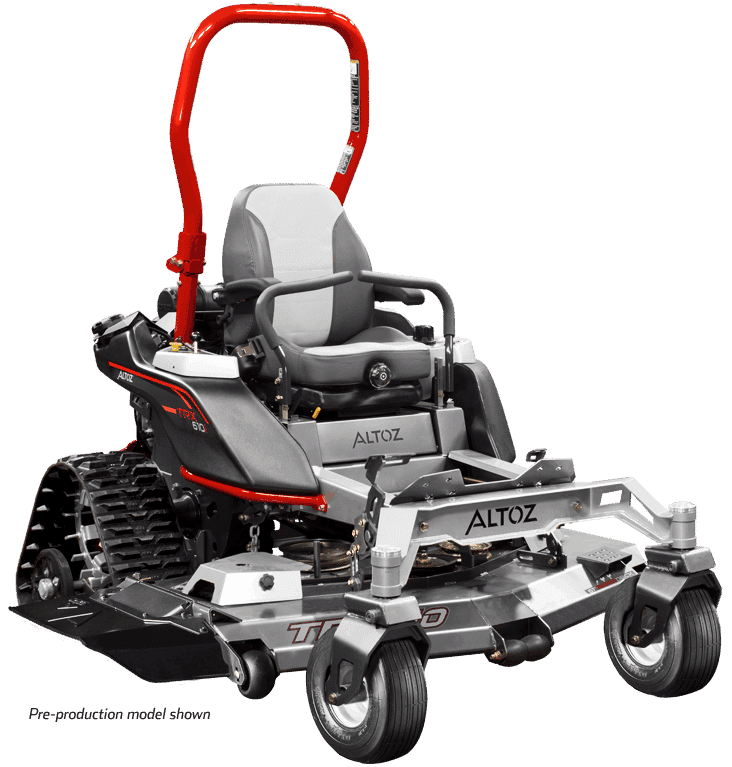 ALTOZ | Precision Mowers ALTOZ is a fairly new player in the market. Their products are all high quality and high-performance commercial and residential machines, each built with a dedication to excellence and the promise of a precision cut. They have the only track-drive zero-turn on the market. 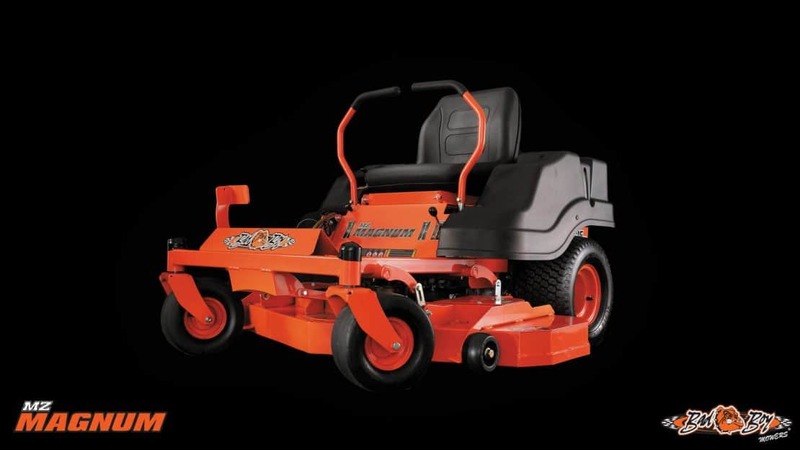 Ariens: Ariens is one of the oldest names in the mower market and makes a great line of mowers. Ariens no longer sells a lawn tractor. Gravely: A great name for over 100 years and Ariens has maintained the quality this name has always been known for. 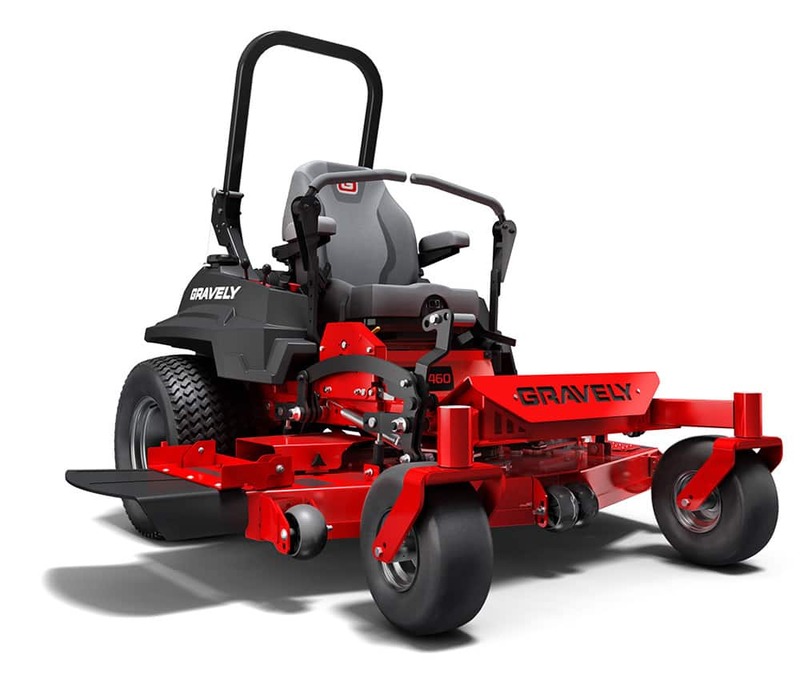 Gravely has a complete line of zero-turn mowers, walk-behinds and convertible units for the commercial operator. They also have a line of homeowner mowers. If you have a local dealer, take a good look at Gravely! Locke: Owned by Ariens This is the mower they use to get the stripes at Yankee Stadium. Countax: Owned by Ariens. Sold in England but the “go anywhere, mow anywhere” mowers are a product we could use here in the U.S. Hopefully they will bring over the high grass cutting decks. Bad Boy Mowers: Advertise that they have the toughest decks in the industry. Look at the MZ series for your home. 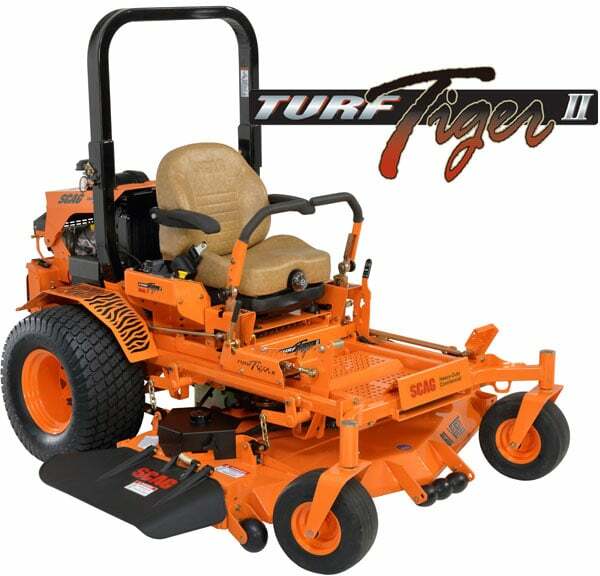 Bush Hog: Land Pride, and Woods: Ag companies that also sell lines of zero-turn mowers. Woods is one of the few who still has a front-mount ZTR. You will see a lot of these in rural/farm areas. Briggs & Stratton: The other big mower manufacturer. Go to this page to see all of the companies they own. They also make spec mowers for other brands including Massey Ferguson. Murray: Murray is Briggs & Stratton’s “affordable” economy line. You’ll find these at your local WalMart and other price competitive retailers. Briggs & Stratton Mowers.B&S doesn’t make mowers under that name but they do make snow blowers and many other products. Snapper: Brett Farve’s favorite mower. 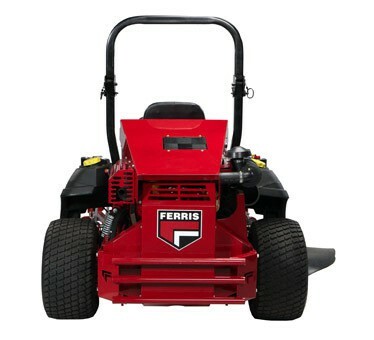 The RER is one of the longest lasting mowers on the market. Snapper Pro: Snapper’s commercial line. Simplicity: Conquest series, great lawn tractors. Prestige series, REAL Garden Tractors. Legacy series, I would buy one of these just because it has an available bucket loader. Ferris: Ferris is B&S’s commercial line. But the Simplicity and Snapper lines are incorporating more and more of Ferris’s unique suspension into the lines. In other words, the lines are starting to blur together. As you know by now Craftsman was sold to Stanley-Black & Decker. Although there is a lot of talk about the tool lines – not much is being said about the Lawn & Garden side. Craftsman Lawn & Garden does make up a SIGNIFICANT portion of Craftsman’s sales so I extremely confident that Craftsman L&G will only get stronger over the next 10 years. That said, Craftsman sells a riding lawn mower for every homeowner lawn in the U.S. Everything from a 30-inch rider to a 60 in heavy-duty zero-turn. They have the largest nationwide service network and you can easily get parts for their machines going back 10, 15, 20 years and more. But, they have never manufactured their own products and have always “spec’d” their mowers to the unique wants and needs of the Sears shopper. Because they are built to “Sears Specifications” they need to be included separately in this list. Some of the current specs that are unique to Craftsman for the 2018 model year are: Unique decks that are rated as some of the best cutting decks by Consumer Reports, Turn Tight Steering (5 or 6 inch) on the Craftsman Pro models. Craftsman L&G is primarily sold through Sears Stores, but select models are also sold through the independently owned Sears HomeTown and ACE Hardware stores. Craftsman Pro: MTD Built. They are Black/Yellow in color. NOTE: Sears.ca: Sears Canada is a separate company. They spec their own products under the Craftsman brand. Sears Canada went out of business in 2017. I have no information on how to get parts or service for that equipment. CRAFTSMAN PROFESSIONAL™/MC. Sold by Sears.ca Usually Husqvarna. Black/Yellow in color. Dixie Chopper: Known as the “world’s fastest mower” Great line, high-quality zero-turn mowers. Dixie Chopper is now owned by Jacobsen/Textron and many of the Dixie’s positive features are starting to carry over to the Jacobson lines. Jacobson is another of those huge companies that most of us know by their golf course and large area mowers. Jacobson ZTRs. Textron/Jacobson/Ransomes: Textron merged Jacobsen and Ransomes with the Jacobson name used here in the U.S. and Ransomes used in Europe. They primarily market to golf courses and large area mowing but you will find a large number of their out-front mowers on the used market. Don’t buy the 3 wheeled version. The rest are good machines, but very, very expensive to repair. Excel Industries: Big Dog Mowers, Hustler: Excel Industries used to make some of the coolest industrial large area mowers and been making large area mowers since the beginning of zero-turns. But that is a tough market and they have moved their focus to zero-turns using the Hustler brand. I’m not sure why they also paint them red and call them Big Dog though. Grasshopper: These mowers have always been very popular in the rural areas. Good, heavy duty mowers that will last you many years. Grasshopper is one of the few companies that still makes out-front mowers. GXi Outdoor Power: DEK, Beast, and Stanley. GXi Outdoor Power is a US based company who has products manufactured in China and imports into the US. They sell zero-turns, walk-behinds, and wing mowers under the names DEK, Z-Beast, Beast, and Stanley. The Stanley logo looks identical to the old U.S. name that has been around for years. Husqvarna Residential: Husqvarna Residential Like John Deere, Husqvarna has a “big box” line and a “dealer” line. Though the dealers usually carry both lines – the dealer line usually features heavier (welded) decks and the Husqvarna Rider. Husqvarna Commercial: Husqvarna Commercial. This is a new line of well designed heavy duty machines. Poulan Pro: Husqvarna’s other name. Primarily used for retail and online sales. Still good products but not as large of a selection as the Husqvarna line. McCulloch: In 1999 McCulloch sold its European division to Husqvarna AB. Nine years later, Husqvarna also acquired the rights to the McCulloch brand on the North American market. Since then, McCulloch is a brand within the Husqvarna Group. Weedeater: Weed Eater is an old name but today it’s mainly used for economy retail items. Flymo: The first hover mower. A concept that never really caught on but the name still lives. John Deere: As far as I can tell John Deere currently does not use any other brand names to market their mowers (used Sabre in the past) I do want to point out that all the lawn tractors and zero turns are made in the U.S. They are made in at least three different location. ANYONE who tells you their 100 series is made by someone else or their zero-turns are made overseas does not know what they are talking about. The lawn tractors and zero-turns you see at Lowes and The Home Depot are the same riding mowers you see at the dealer. The dealer just has more dealer only models available. The 100 series sold at the Dealer Stores IS THE SAME TRACTOR AS SOLD AT THE BIG BOX STORES! John Deere is a worldwide organization and many of their parts and products are made outside of the U.S. They currently use Briggs, Kohler, Kawasaki and have their owned line of branded engines in the residential mowers. There are also Golf and Commercial Divisions that cater to those customers. Kubota: When most people think of Kubota they think of the compact tractor series. But did you know they also make a great line of homeowner riders? The FZ2100 was one of my favorite mowers. Mean Green Mowers: Mean Green is the best electric mower company right now. They specialize in commercial mowing and trimming equipment. They mow Apple’s headquarters and many other businesses who have gone 100% electric. Lastec Articulators: No, you can’t afford one but it is one of the most unique mowers on the market. 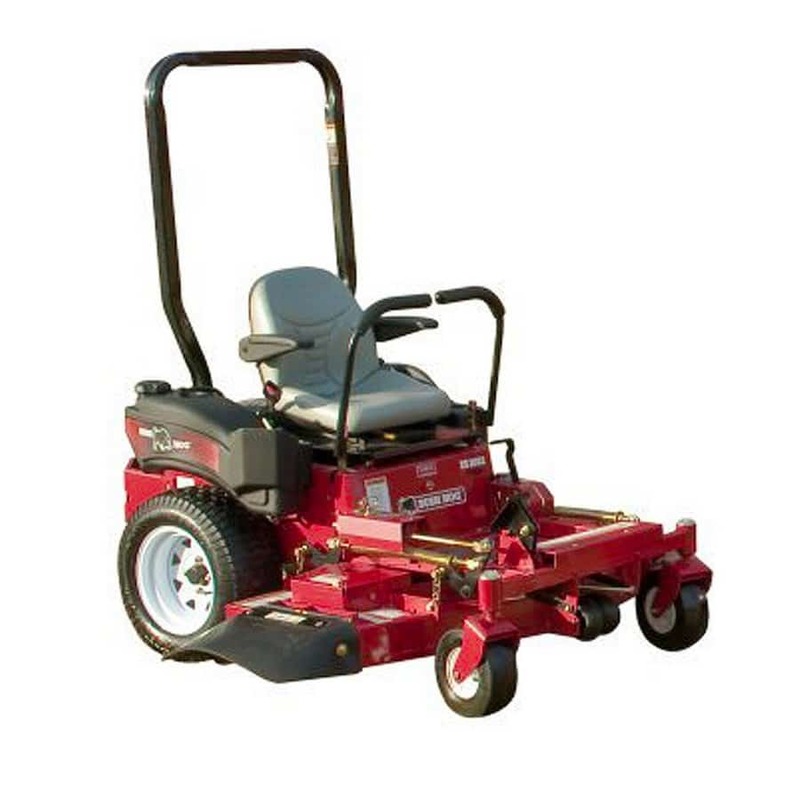 MTD: MTD has always had a mixed reputation among homeowners because they make a complete line of residential mowers from the cheapest sold to some of the best quality available. For every homeowner, MTD makes a mower in a quality/price range that you will be comfortable with. I’ll leave all of the opinions for the tractor/mower forums. MTD makes and sells mowers under the following brand names. They also make spec mowers for Toro, Craftsman, Lesco and other retailers. Bolens: Primarily sold in Canada. Cub Cadet: Cub Cadet was one of the original lawn tractors. My uncle was part of the design team for the first model produced by International Harvester. MTD purchased the Cub Cadet brand in 1981 and has been making a complete line of homeowner products since then. 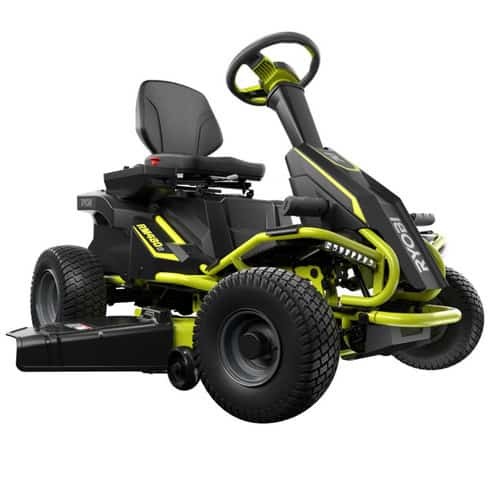 In recent years they have expanded the Cub Cadet brand to a commercial mower line and today have a complete line from a 30-inch riding mower all the way to the Commercial 35 HP Pro Z 900 Series. Cub Cadet also has the largest offering of steering wheel zero turns. Cub Cadet also offers one of the few “true” garden tractors left on the market – The Cub Cadet X3 series. 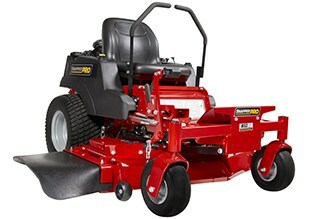 Troy-Bilt: The tractors, mowers and snow blowers are mainly sold through Troy-Bilt, Lowes and Amazon.com. The brand is primarily aimed at the residential market and they have a complete line from the least expensive to good homeowner units. They actually have arguably the best cordless handheld products on the market – Troy-Bilt CORE. Yard-Man: Yard-Man is MTD’s economy line. The focus of these products in on price. Most homeowners get many years out of these products. Yard Machines: is another economy line manufactured by MTD. I would not be surprised to learn that there was more 38 inch Yard Machine tractors produced than any other. Arnold: This is MTD’s parts division. These are the factory/OEM parts you need for MTD made products. MTD Pro: This name seems to be targeted to the “two guys and a truck” lawn care businesses. These little guys don’t have enough lawns to warrant a large commercial mower but need something a little better than a residential lawn tractor. The products tend to have fewer features and more value than MTD’s residential lines. MTD Gold: In my opinion, this brand is just a different name so MTD can sell at both of your local hardware stores. PowerTrac: A heavy duty line of commercial multi-purpose machines. I haven’t seen them at any shows for a while so I’m not sure what’s up. Rich Convertible: Currently marketed by DR Power Equipment DRPower.com as the VERSA-PRO Z-Mower. If you have a large lawn with a lot of slopes and ditches take a look at this unique machine. Ryobi: New this year the RM480E is a new breed of electric riding mowers. I feel they did it right and this may just be the electric mower that changes the way we mow. Let’s see if I’m right. Scag: For many areas of the country when you see a small landscape contractor, he or she will have a Scag or three on the trailer. Scag makes a great line of high production mowers. Some models will mow well at 16 mph! Schiller Grounds Care: Schiller is a diversified lawn maintenance manufacture that produces some of the best quality products on the market. Mantis, BobCat and Steiner are names that you know and trust. They make products for the commercial and residential markets under the names: Ryan Turf, Steiner, Bunton, BobCat, Brouwer, Mantis, Little Wonder, and Classen. Swisher: Make residential zero-turns and have brought back the Ride King for 2017. 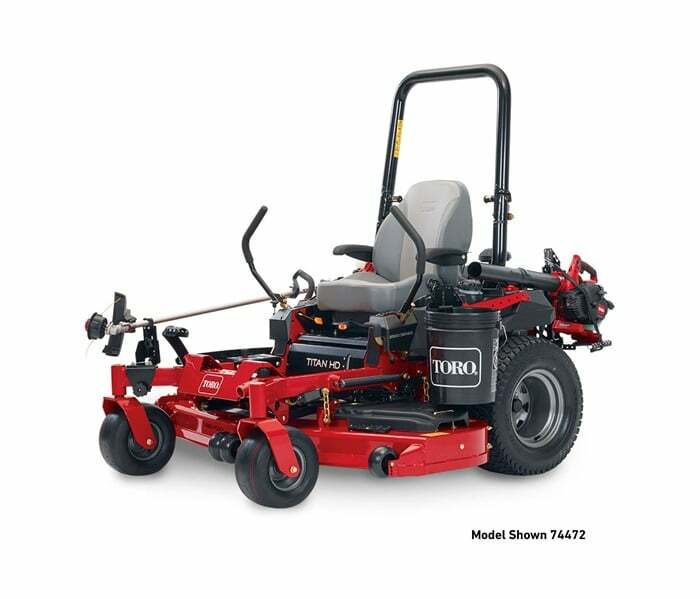 Toro: Toro is also another huge, worldwide corporation like John Deere, but they mainly market lawn care products. They have Homeowner, Commercial, Golf, Irrigation and Sports Field Divisions. They currently do not make a lawn tractor for the U.S. – Canada market. No One will give you actual numbers but it’s a pretty good guess that Toro and ExMark ZTR’s sell about half of the commercial mower is the U.S.
Ventrac: If you own an acreage and want to do more than mow lawn with your equipment this may be the tractor for you. It’s one of the most rugged and versatile multi-purpose units on the market. One of the unique benefits of this brand is the maneuverability and ability to handle up to 30-degree slopes. Walker: Walker mowers are high end residential and commercial mowers. They are designed to bag and bag well. They also have many great options including side discharge decks. These mowers will give you the best looking lawn in the county. If you have trees, trees, and more trees, berms, and many landscape beds to go around take a close look at this great brand. Worldlawn Power Equipment Inc: Encore has been struggling for a long time and it looks like they have been bought out by a Chinese Company. It looks like Worldlawn has kept the factory in Beatrice and is promoting the line under the WorldLawn and Encore names. Encore always had a good mower, just a poor dealer network, so don’t be afraid to look at this mower. Wright: I can recommend any of the mowers Wright sells. The Stander X is my third choice for the best mower on the market today. 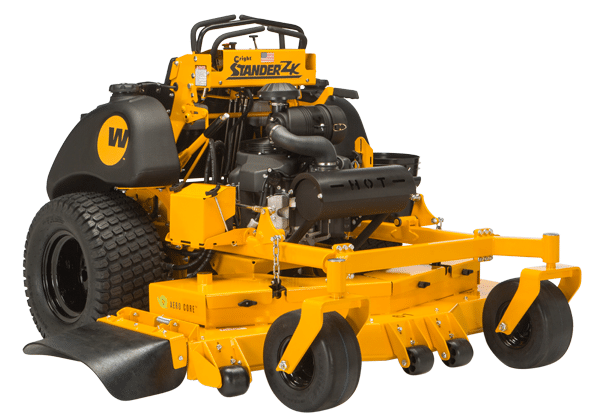 The Stander ZK is one of the fastest, high production single deck mowers on the market. I also like the Sport series because you can sit or stand. If I mowed commercially and could only own one mower – the Sport would be the mower. If you have a large lawn, and/or a lawn with a lot of slopes seriously look at this brand. Briggs & Stratton: American made vertical shaft lawn tractor and zero-turn engines! Toro – ExMark engines: Loncin. The Toro and ExMark branded engines are developing a great reputation. LCT: At this time they mainly sell snow blowers engines. Just the best reputation. Found on Ariens, Poulan Pro and Husqvarna snow blowers. MTD: PowerMore – Zongshen. Usually labeled the same as the brand. i.e., Craftsman, Cub Cadet, Troy-Bilt. They have the first single and twin cylinder EFI engines for residential use. Yamaha: For 2018 Yamaha has entered the Zero-turn mower market. Agri-Fab: Tools and Attachments. The snowblower or utility blade on the front of your tractor was probably made by this company. Berco: Snow Blower attachments mad in Canada. Ohio Steel: A complete line of Lawn & Garden products for your zero-turn, lawn tractor and garden tractor. Plus 20 other large and small manufacturers. 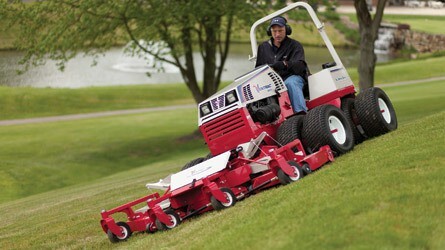 Denver Global Raven MPV-7100 MOWER. This mower has been discontinued. You may still find a few on Amazon and eBay. Beeline: A work in progress. It’s worth going to their site and watching the 6 minute video to get a better understanding of how the best mid-mount ZTR’s work. Dixon: Dixon The name has been discontinued and I’m not sure why the website is still operational. The Husqvarna residential and landowner series came from this great line. EverRide: http://www.everride.com as of 2011 the Everride name is being discontinued and the products merged into the Gravely Name. White Outdoor: http://www.whiteoutdoor.com It looks like the White brand name is being phased out here in the U.S. There is still a website up, but no products are listed. You may still see some of these riders at dealers. GardenWay: The GardenWay corp originally made Troy-Bilt. MTD bought all of the company years ago. You will find a few products under that name in smaller retailers and garden centers. Honda Honda has not made a tractor since 1997 for the U.S. Parts are getting hard to find for the ones still running. John Deere has discontinued their walk-behind mowers and snow blowers and will be selling Honda products starting in 2012. Howard Price: http://www.howardpriceturf.com The website has not been updated for a while and only looks to be up for historic reasons only. These mowers are big, slow, but mow well. Beware, they are very expensive to repair. Heckendorn: I can no longer find a website for this brand. They were gear driven zero-turns and the mower of choice for cemeteries in the 60’s and 70’s but never got into the hydro zero-turn market well. Recharge Mower: http://www.rechargemower.com/ Recharge is an American Company that made an electric riding lawn mower. The mower is made in China. They got a lot of press in 2010 because it is an all-electric machine. The company no longer maintains a website. Yazoo/Kees: Husqvarna officially discontinued this line Oct. 2011. Schweiss: Schweiss mowers It looks like the Schweiss is gone. Wheel Horse and about 200 other brands of Garden Tractors have dissappeared. What is, Who Makes the Craftsman 420 cc motor On The LT1500 Model 28882 Lawn Tractor and Model 29000 Rider? Great information you put up for all interested in lawn care and who is who in the Buisness. I would like you personal opinion what would be a good choice for a zero turn lawn mower for residential use. 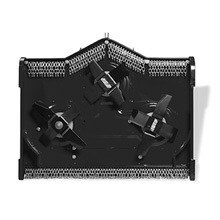 I need like a 34″ that can get passed 36″ gate and tight closed areas. I have a 42″ riding lawn mower that I use but in them area with a gate and tight areas I have to use my walk behind.Thanks again for the work you put into writing this article. Thanks for the info. Can you tell me who makes the transaxle on a Craftsman #917273323? Built in around the year 2000. Hey Paul, I believe you left out YANMAR gas and diesel engines. They were used In many the higher quality John Deere Lawn & Garden, Commercial, Turf & Grounds, and Agricultural products. Not sure of current production in 2018, but they were definitely used in machines from the 1980’s, 1990’s, and early 2000’s. I own several machines with Yanmar engines. I believe Bob Cat is one of the best Zero turn mowers on the market today , they make from a small yard size to a Professional zero turn. The have a 5 to 6 year warranty and all your new Bob Cat has a Kawasaki engine. My advised is check a Bob Cat out before buying your next zero turn. Enjoying your writings. You have done a lot of research. Keep up the good work. Ever heard of Imperial -Long Life by or thru MTD ? Mid 80’s I believe . Hi Paul, Dont forget to include the newish Spartan branded ZTR. Paul, I’m looking at a Remington self-propelled mower with larger back wheels, sold at Home Depot for about $350. Can’t find ANYWHERE a review of Remingtons except from customers on Amazon etc. who give them higher marks than Toro, Troy-Bilt, and Honda. I know Remingtons use Kohler engines. Do you know about them, and are they a good choice? Especially, are they easy to push/pull without engaging the front-drive? Thanks! How much better will an add on snowblower work compared to a quality walk behind? Forgot about Hustler mowers. That’s all we use. Very fast, very powerful. Hustler also makes Big Dog mowers as well. A bit surprising… the reviews seem to paint the Swisher products as the best of the best. Of the brands you mentioned, which would be your preference? I have 5+ acres of lawn at our new home. Advice please… Swisher 60″ or 66″? I am trying to find information about the Recharge mower company which I think is now not operating. Wondering if parts are available. Paul, your Information is Superb. Do you also Cover walk-behinds, e.g. the EGO line? Thanks for this detailed resource. I have a comment I don’t know where else to broadcast. Sears does not have the parts availability they have a good reputation for. I have a 7 year old garden tractor ..gt5000 I think. Have had trouble getting parts. Current effort they told me no. Sent me to American yard products who said no. Scoured Internet and called several places with same result. $2500 ish mower seven years old can’t fix. Axle seal has failed for third time. How come Simplicity is not represented here? They have been around a long time and make some very durable machines. Thanks for all the info provided here. Hi – some good information here. I hope you don’t mind if I point out that you consistently used the word manufacture(s), when the word should be manufacturer(s). Example: in the title of the article, “Who Makes What, Who Are The Major Mower Manufactures”, the word manufactures (which is a verb) should be replace with the word manufacturers (which is a noun). I’m looking at purchasing a Higher end residential, lower end commercial ZT for residential use. I think i have narrowed it down to a 60″ BAD BOY CZT with Kawasaki FS 726cc and Grammer seat, or the 61″ Ferris IS 700z with vanguard 810cc. What are your positives and negatives on both of these mowers? What would your preference be? Does anyone remember seeing a Yamaha riding mower. My brother had one and I did my lawn a few times with it. Wasn’t a bad mower. Anyone here recall the Yeasu (or Yeashu) lawn mowers? I believe they were the first to use a bicycle spokes in the rear wheel that was about 12-14″ is diameter and was the driven wheels using what they called their “tractor drive” technology. between all the zero turn commercial mowers with the kawasaki or the vanguard which would be the best ? 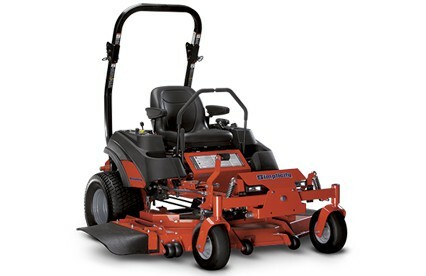 I am looking for a 8 to maybe 10 hsp riding mower with all the controls on the right side including the brake —I am small and have physical challenges….please help. Paul, I see one of the comments listed a Briggs & Straton engine as a “Con.” Is the B&S in the Craftsman 54″ 24 HP a good engine? I hope so, I have had B&S engines for decades and they seem to last forever. I just purchased a 20403 G5500 for $2707.49. We have a new construction home one a 1.5 acre lot that was formerly a corn field (southern Maryland). Almost half of our lot is flat with the sloped areas being between 10-20 degrees. The contractor graded & seeded 3/4 of our lot and just mowed the rest (dead cornfield). 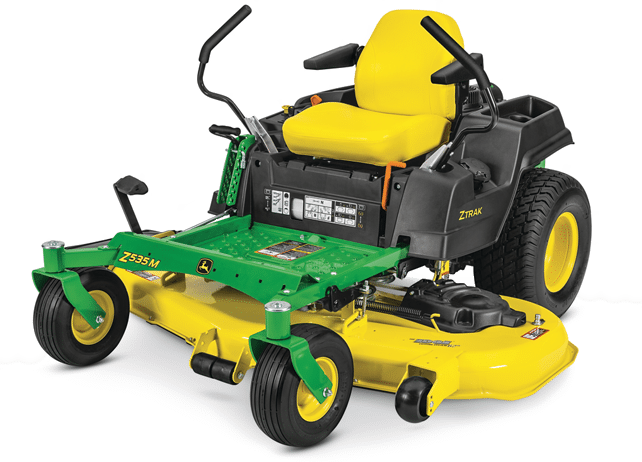 What would be the best new riding mower/tractor for us – on a budget? We’re considering buying from Sears.